NID Amaravati, NID Bhopal, NID Jorhat and NID Kurukshetra will be declared as Institutions of National Importance (INIs) at par with the NID, Ahmedabad. 4 NIDs will be declared as Institutions of National Importance at par with the NIDAhmedabad, Gujarat. The Union Cabinet chaired by Prime Minister Narendra Modi has given its approval for introduction of Bill in Parliament for amendment of NID Act, 2014 to include four new National Institutes of Design (NID) within the ambit of the National Institute of Design Act, 2014. With this, according to a statement from the Union Government, NID Amaravati/Vijayawada, Andhra Pradesh; NID Bhopal, Madhya Pradesh; NID Jorhat, Assam and NID Kurukshetra, Haryana will be declared as Institutions of National Importance (INIs) at par with the NID Ahmedabad, Gujarat. Some minor amendments to the Act including consequential amendments considered necessary namely, to re-name NID Vijayawada as NID Amaravati and nomenclature of Principal Designer as equivalent to Professor are also proposed in the Bill. Establishing new NIDs as Institutions of National Importance in different geographical regions of the country will help produce highly skilled manpower in design which, in turn, will create job opportunities, both direct and indirect, by providing sustainable design interventions for crafts, handloom, rural technology, small, medium and large scale enterprises; and outreach programmes for capacity, capability and institution building, said the statement. NID Ahmedabad, India's premier and first design institute was declared 'Institution of National Importance' by the Act of Parliament, by virtue of the National Institute of Design Act, in July 2014. Nirmala Sitharaman, then Minister of State (Independent Charge) for Ministry of Commerce & Industry and Minister of State for Finance and Corporate Affairs placed the NID Bill in the Parliament. 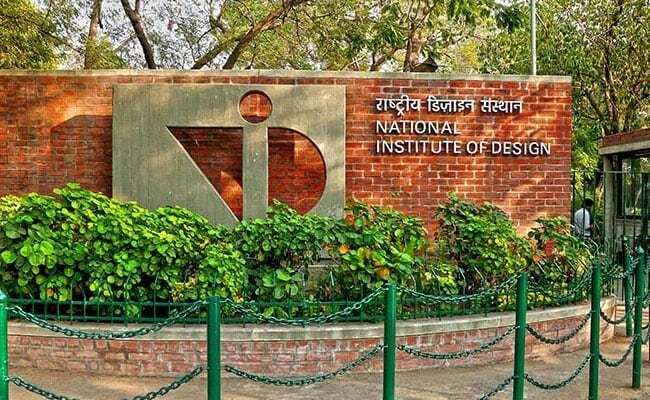 The Bill states, 'To declare the institution known as the National Institute of Design, Ahmedabad, to be an institution of national importance for the promotion of quality and excellence in education, research and training in all disciplines relating to Design...', was passed unanimously by the Lok Sabha on Wednesday, July 9, 2014. It was the first Bill to be passed by the newly elected NDA government. On July 17, 2014, President of India gave his assent to the National Institute of Design Bill, 2014 and notification to declare NID Ahmedabad as an 'Institution of National Importance' was published in Government of India's Gazette on July 18, 2014. With the passing of this Bill, NID will be authorised to deliver degrees and offer Ph.Ds.